Updated the information on the speakers. Updated information about the conference. Andy joined Google in 2005 with the acquisition of Android, a company he founded and incubated as an entrepreneur in residence at Redpoint Ventures. 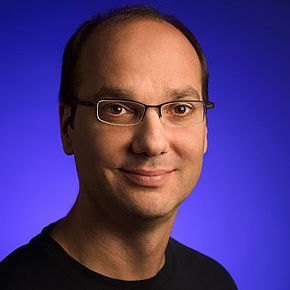 Andy built Google’s mobile and digital content businesses, including development of Android and Google Play. Under his leadership as Senior Vice President Mobile and Digital Content, Android has become the most used mobile operating system in the world. Spurred by a vibrant open ecosystem consisting of over 60 manufacturers, there are now more than 750 million Android devices activated. An entrepreneur at heart, Andy has just started a new chapter at Google working on projects yet to be disclosed. Previous to Google, Andy was president and CEO of Danger Inc. where he helped create the Sidekick, one of the first mobile devices to offer a direct Internet experience. Earlier, he was instrumental in building and shipping WebTV, the first interactive television-based Internet service, which was acquired by Microsoft in 1995. He also led the effort to ship the Motorola Envoy, one of the first wireless PDAs for General Magic, and helped design the first host-based software modem for Apple Computer. Andy began his career as a software engineer for Carl Zeiss A.G., maker of industrial and consumer optical products. He is the author of numerous patents in wireless communications. 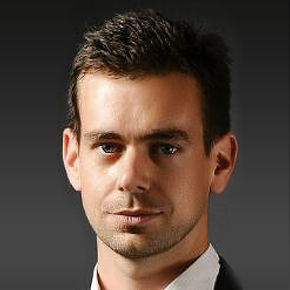 Jack Dorsey is Co-founder and CEO of Square Inc. and the creator, co-founder, and Executive Chairman of Twitter, Inc. In 2009 Jack co-founded Square, the company Square is removing the friction from transactions and making commerce easy for everyone. Square enables anyone to accept credit cards and run their business on their smartphone or tablet. Jack was recognized as one of Time Magazine's 100 most influential people, WSJ Magazine's Technology Innovator of the Year and was named an "outstanding innovator under the age of 35" by MIT's Technology Review. 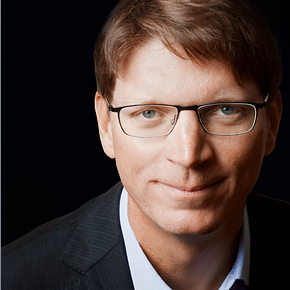 Prior to forming Atomico, he co-founded Skype, Kazaa, Joltid and Joost among other high-profile technology companies. Niklas held the position of CEO from Skype's inception until September 2007 when he became the company's chairman, a post that he held until March 2008. During that time, Skype became the global leader in Internet voice communications, with more than 309 million registered users within five years of launch and revenues of $130 million in Q1 2008. Ben grew up in Iowa, where he spent a lot of time collecting bugs. 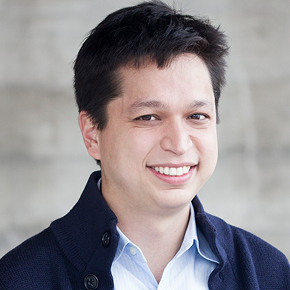 Today, he helps millions of people collect things they love as co-founder and CEO of Pinterest. Before Pinterest, Ben worked at Google on AdSense and studied at Yale. He lives in San Francisco with his wife and son. President, LINE Corporation. Born in 1967. After graduating from Tsukuba University (School of Informatics), he joined Nippon Television Network Corporation. He obtained a MBA degree at the Graduate School of International Politics, Economics and Communication, Aoyama Gakuin University in 1999 and worked for Sony Corporation. 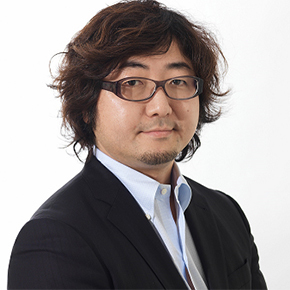 In 2003 he joined Hangame Japan (currently LINE) operating online game community. He assumed President of the company in 2007 after holding posts of Head of Game Business Division and Executive Director. Appointed as Chief Executive Officer of NHN Japan Corp in 2012 after the business merger.